Long nights at the library without caffeine or snacks are a common problem for students writing a report or cramming for an exam. For the past four years, the Student Government Association has been working with administration to install new coffee and snack vending machines in the library that will be open 24/7. 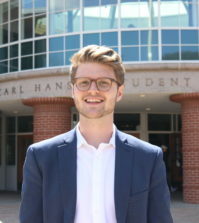 Under SGA’s newest proposal, the machines will appear in the library in fewer than 30 days, according to Evan Milas, vice president for student concerns. “It’s been something that the students have really wanted so we’ve been pushing it,” Milas said. The coffee machine will be similar to the one located in the School of Business lounge area, while vending machines will resemble the machines in residence halls like Dana, Irma and Troupe. The new machines will be located on the second floor of the library where printers are currently located. 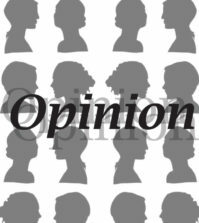 “There were some obstacles originally with space and then with the introduction of the new part of the student center,” Milas said. According to Milas, administration wanted to put the machines in the piazza section of the Carl Hansen Student Center, but elected not to because the student center would have to be kept open 24/7, whereas the library already operates under those hours. There was some confusion between students and library staff concerning how much and what types of food are allowed, according to Milas. The library has a policy against “big meals” like Chinese food, but small meals, snacks and drinks are allowed. Currently, students have to travel to the Bobcat Den if they want coffee after 10 p.m. After 11 p.m., when the Bobcat Den closes Monday to Wednesday, students are left with no choice of beverages other than what is available in residence halls vending machines. 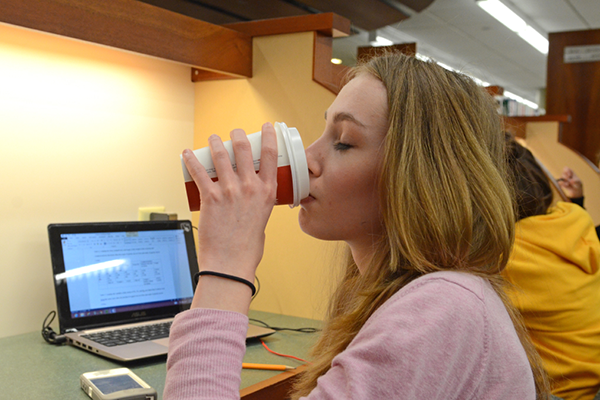 “It seems like a good idea because many people get tired when studying and being able to get a coffee or a snack will help people to stay awake and focused for longer,” sophomore Megan Daly said. Some items in the library have been moved to the Ireland’s Great Hunger Museum, which opened up space to move printers around and add the vending machines. An outside company that has a contract with the university will operate the vending and coffee machines. The machines will accept QCash and cash. Meal-plan money cannot be used at either machine because Chartwells will not operate the machines. “I am looking forward to being able to get coffee late at night after the [cafeteria] is already closed or being able to quickly go to the vending machine to get a snack without the hassle of having to leave the library,” Daly said. The new vending and coffee machines are just one of the new features SGA has implemented this year. SGA also played a role in new equipment in the Mount Carmel Rec Center and has plans on painting the white walls on campus, according to SGA President Matt Desilets.